Like many large-scale school facilities projects, the Duluth School District's Long Range Facilities Project - commonly referred to as the "Red Plan" - has been the subject of intense debate and scrutiny. Residents have raised concerns about the project's exorbitant price tag, a record-breaking $407 million including interest. Many have questioned the district's seemingly cozy relationship with the contractor in charge of the Red Plan, Johnson Controls, Inc (JCI). And like some controversial school ballot initiatives, the Red Plan has, unfortunately, pitted the public school establishment against parents and district taxpayers. But something sets the Red Plan apart from so many ballot initiatives that preceded it. The Red Plan was never on a ballot. 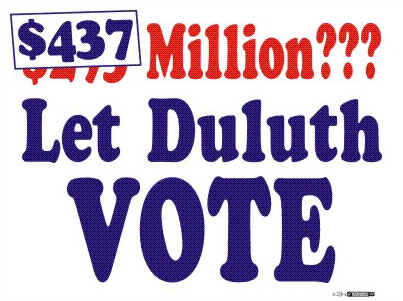 That's right, the Duluth school district is planning to spend $407 million on school facilities that the public never even had a chance to vote on. Instead, the school board exploited a legal loophole allowing districts to use alternative facilities bonding for critical "fire, safety or health repairs." However, as the price tag suggests, the Red Plan consists of far more than a few fire and safety repairs; instead, it is a wholesale district-wide overhaul that will "divest 13 properties, it will purchase other properties, it will build three new schools, and it will remodel 10 schools." Former state representative Mike Jaros (DFL-Duluth) has accused the district of misusing the law, which he previously supported: "Duluth school board had a special law that I passed, the same as Minneapolis and St. Paul, to help them with desegregation, health and safety emergency problems, to take care of, so they wouldn't have to go to the public to ask for a referendum." Jaros went on to say that the school board "abused" the law. 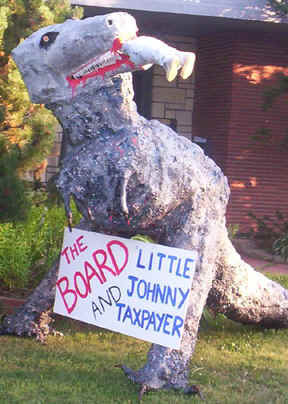 The school board adopted the Red Plan in June 2007, and public resentment toward the district has been growing ever since. With construction scheduled to begin this Spring, public opposition has taken on a new sense of urgency. 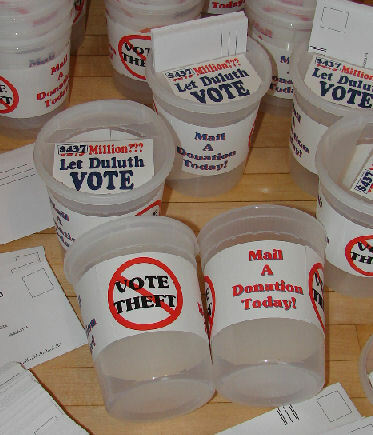 And some voters in Duluth are not taking this heavy-handed act by school administrators lightly. In fact, earlier this month, five taxpayers filed a lawsuit against the district and JCI alleging that the Red Plan "violates state laws requiring local units of government to abide by their competitive bidding policies on major contracts." The Red Plan, and its associated tax burden, could not come at a worse time. Duluth's population is rapidly aging, its median household income is significantly lower than the rest of St. Louis County, and families make up just 56.1% of the city's population. Many taxpayers of modest means and on fixed incomes are being asked to foot the bill for the Red Plan, and they were never even allowed to vote on it. The Freedom Foundation of Minnesota is hosting its first in a series of government watchdog training sessions on Saturday, May 9 from 8:30am-1:30pm. The half-day training session is open to any interested citizen that would like to learn how to track their local government and hold their elected officials accountable. The training will be held at a convenient Twin Cities location. Speakers and additional information on topics to be covered will be featured in upcoming FFM Bulletins. The Freedom Foundation of Minnesota is an independent, non-profit educational and research organization that actively advocates the principles of individual freedom, personal responsibility, economic freedom, and limited government. The FFM Bulletin is authored by Freedom Foundation of Minnesota Vice President Jonathan Blake.